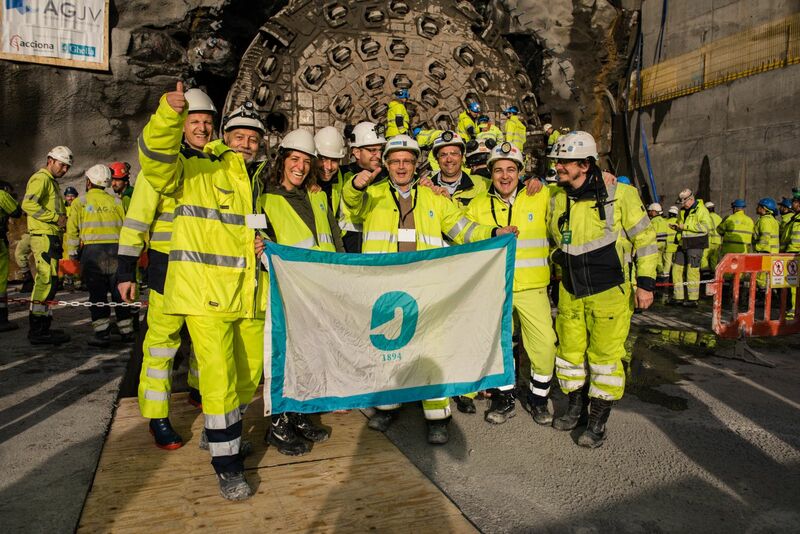 With a double breakthrough on schedule, the excavation of the longest rail tunnel in the Nordic countries is completed. 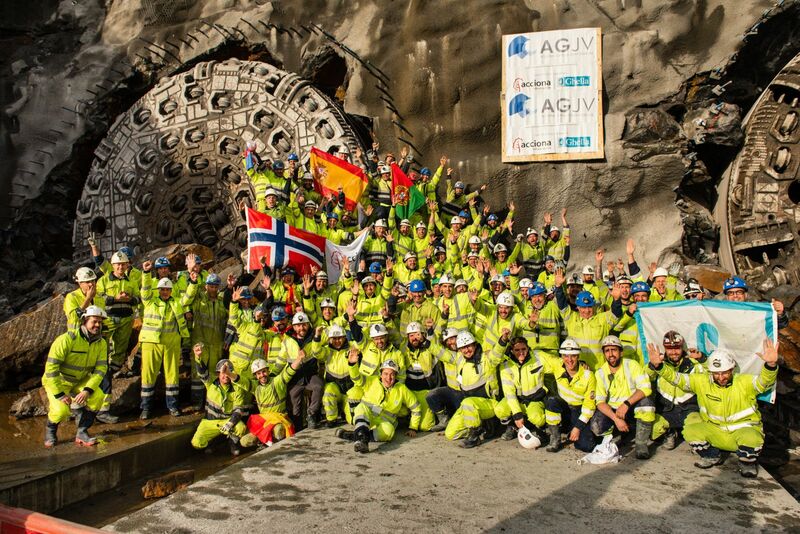 The final two TBM, Anna and Magda, excavating the long tunnel for the Follo Line have successfully drilled nine km each and thereby finalized the excavation of this extensive tunnel system. High speed rail through this tunnel will give a 50% reduction in travel time - from 22 to 11 minutes - between Oslo and the smaller town Ski. 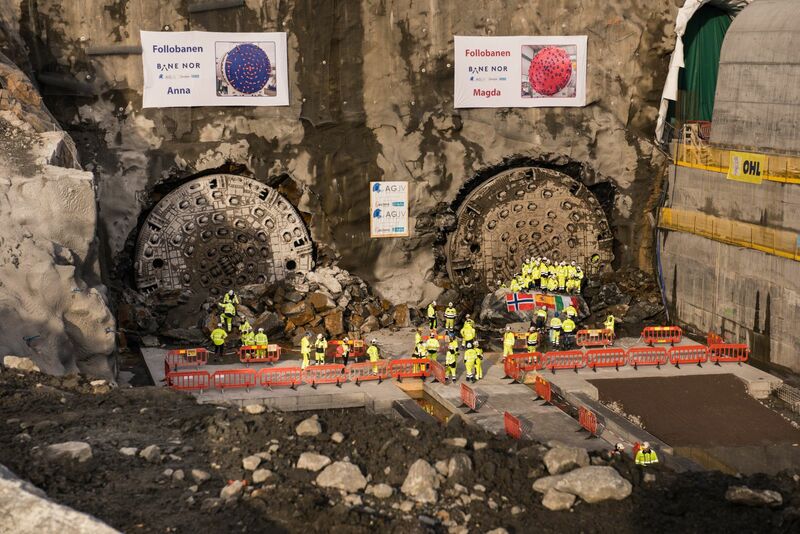 The first double breakthrough happened in September 2018 when The 2 TBMs, named Queen Eufemia and Queen Ellisiv, achieved breakthrough simultaneously. 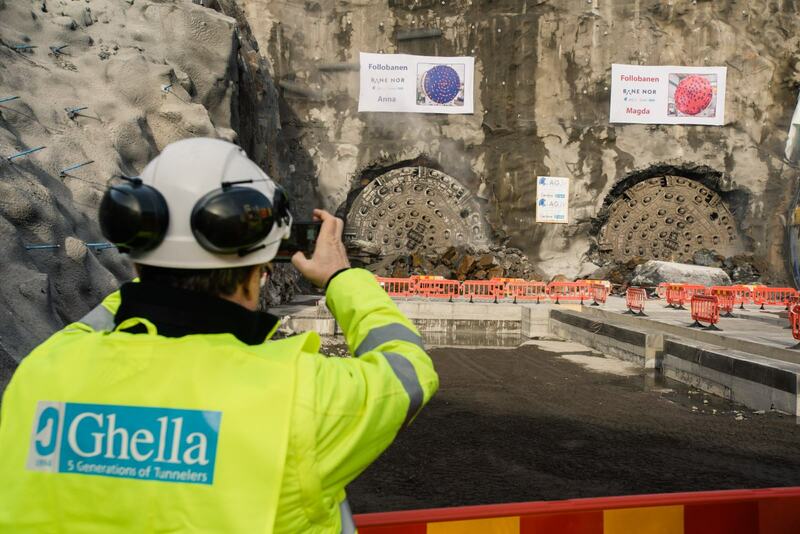 Around 350 guests and employees were present when the last two tunnel boring machines, both with a diameter of close to 10 meters, completed the journey side by side this morning, Tuesday 26th February, with the TBMs coming out as planned in the town of Ski. Almost at the same time the TBM Argentina, the machine with a diameter of almost 12 mt which has made her way in the Sarmiento project, was achieving breakthrough in Villa Luro, Buenos Aires.